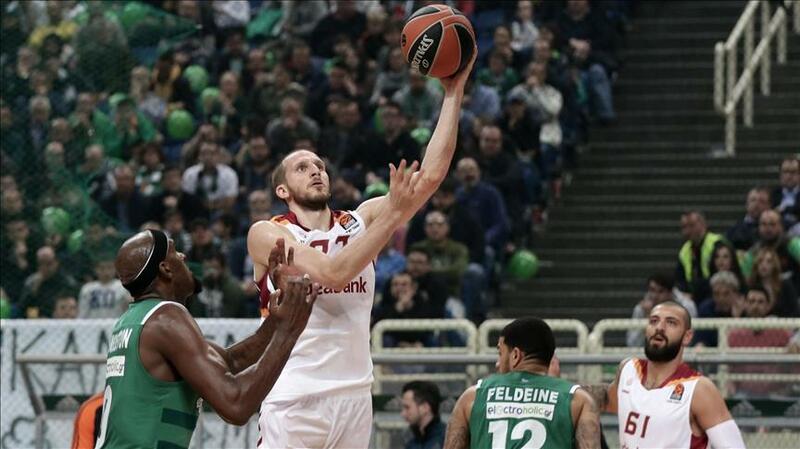 In the Turkish Airlines Euroleague's Round 21 on Friday evening Turkey's Galatasaray Odeabank will host Greek powerhouse Panathinaikos Superfoods. Galatasaray will look to get its 7th victory in the season during the match, set to start at 8 p.m. Turkish time (1700GMT) at Istanbul’s Abdi Ipekci Arena. Panathinaikos currently stands in the number seven position with 11 wins and 9 losses, enough to secure a playoff position. But Galatasaray is dead last with 14 losses and only 6 victories. Fenerbahce defeated Russian powerhouse CSKA Moscow late Thursday in Istanbul with a score of 77-71. The Yellow Canaries managed to boost their performance in the second half after a poor first half and hold CSKA to just 11 points in the third quarter. Center Ekpe Udoh scored 15 points and grabbed 11 rebounds in the win, while Bogdan Bogdanovic scored 12 and dished out 8 assists. With the victory, Fenerbahce improved to 14 wins and 7 losses in the season. The 23 points by Nando de Colo, last season’s Turkish Airlines Euroleague's most valuable player, was not enough for CSKA, also lacking Milos Teodosic and Victor Khryapa due to injuries.